The St. Louis Cardinals system went 5-3 on Sunday. Player of the Day Tommy Parsons spun a seven-inning, complete-game shutout to enable Johnson City to split its twinbill. Three rehabbing major leaguers helped Springfield to a rain-shortened win. Recaps of games played on Sunday, August 19. With three runs in the fifth inning, the Express were 3-1 winners on Sunday over the Redbirds at AutoZone Park. Memphis starter Austin Warner was rocked for 14 hits in 4 1/3 innings. The Express hit back-to-back-to-back home runs in the fifth inning. 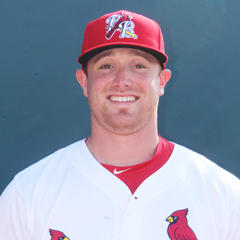 Warner was followed with scoreless relief from Tyler Webb, Conner Greene, and Giovanny Gallegos, but the Redbirds’ bats did not come through. 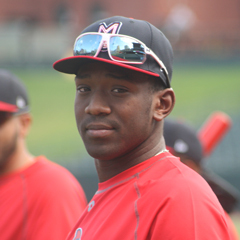 Redbirds left fielder Justin Williams hit a solo home run in the bottom of the second inning, Memphis’s only run. 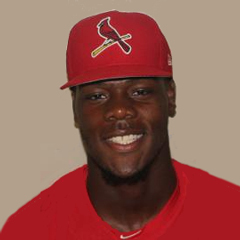 Third baseman Max Schrock had two base hits, but the Redbirds were 0-for-5 with runners in scoring position and stranded eight runners. 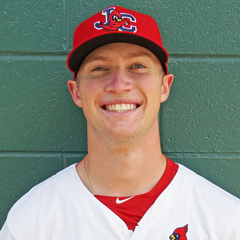 Next game: Tyler Lyons (0-0, 2.45) at New Orleans Baby Cakes, 7:00 PM Central time on Tuesday. Three Major League players made their impact in Springfield’s 2-0 win over the Hooks in Sunday’s five-inning rain-shortened contest. 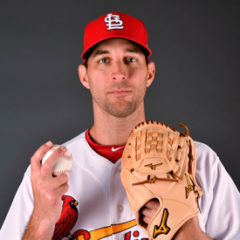 Adam Wainwright, our Player of the Day, started for the Cardinals and struck out four batters in two scoreless innings. Eighteen of Wainwright’s 27 pitches were strikes. Wainwright was relieved by another rehabbing big-league hurler: Carlos Martinez. Martinez worked a scoreless inning before Hector Mendoza held the Hooks scoreless across the fourth and fifth innings and earned his third win of the season. 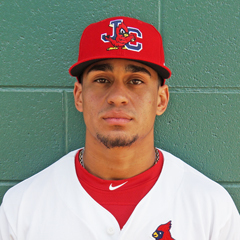 Cardinals center fielder Yairo Munoz doubled and scored a run. Designated hitter Johan Mieses blasted a two-run homer in the fourth inning to account for the only runs. The Cardinals and Hooks had only two hits each. Next game: TBA at Northwest Arkansas Naturals, 7:05 PM Central time on Tuesday. With five runs in the top of the 11th inning, the Cardinals were 11-8 winners over the Stone Crabs in Sunday’s back-and-forth affair. The Cardinals scored two runs in the top of the ninth inning and two more in the 10th, only for Chattanooga to knot the game up again in the bottom half each time. Designated hitter Elehuris Montero and center fielder Conner Capel each batted in a run in the 11th inning. First baseman Ryan McCarvel was credited with his second run batted in after being hit by a pitch in the same inning, and third baseman Irving Lopez came through with a two-run single. Although not in on the action in the 11th inning, catcher Brian O’Keefe had three runs batted in earlier in the game, and second baseman Stefan Trosclair scored three runs. 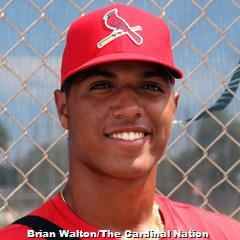 Cardinals starter Jesus Cruz allowed one run over his five innings of work before the bullpen entered the contest. Jacob Patterson, Yeison Medina, Ramon Santos, and John Kilichowski all appeared before Mike O’Reilly worked 1 1/3 innings. O’Reilly was credited with his second win of the season. Austin Sexton recorded the final two outs, including a strikeout to end it. Next game: TBA vs. Fort Myers Miracle, 5:30 PM Central time on Tuesday. The Chiefs came out on the losing side of Sunday’s quiet, 1-0 ballgame in Quad Cities. The River Bandits scored the lone run in the fifth inning against Peoria starter Johan Oviedo, who fanned five batters over his five innings of work. Oviedo took the loss, as his record evened at 9-9. C.J. Saylor turned in two scoreless innings, and Ben Yokley worked a frame of zeroes, but the Chiefs’ bats did not prevail. Peoria had just two base hits – singles by second baseman Wood Myers and shortstop Rayder Ascanio. The Chiefs struck out 14 times, tying their season high in futility, including four by third baseman Nolan Gorman and two apiece by designated hitter Dennis Ortega, catcher Julio Rodriguez, and left fielder Nick Plummer. Monday’s game: TBA at Quad Cities River Bandits, 6:35 PM Central time. Powered by a four-run third inning, the Spikes were 5-3 winners over the Scrappers on Sunday. It marked State College’s record 12th consecutive road win. Spikes designated hitter Stanley Espinal drove in three, including a solo home run in the ninth, his sixth long ball of the year. Right fielder Kevin Woodall had State College’s two other RBI. Although they were victorious, the Spikes went just 2-for-10 with runners in scoring position. Chris Holba turned in a quality start for State College. Holba logged six frames and limited the Scrappers to three runs on the way to his third win of the year. Jim Voyles, Edgar Gonzalez, and Cory Malcom each followed with a scoreless inning to close out the game. Voyles and Gonzalez were each credited with a hold, and Malcom notched his fifth save. Monday’s games: regular contest after resumption of 8/16 suspended game, Diego Cordero (2-3, 4.36) vs. Williamsport Crosscutters, 6:05 PM Central time. The Cardinals and Twins resumed Game 1 from August 2nd, which was suspended due to weather, in the third with the score tied at one. In the fourth, the Twins plated two runs to take a 3-1 lead. The Cardinals answered with two in the bottom of the inning to tie the score. Dariel Gomez and Michael Perri had back-to-back singles before Brian Sanchez reached on a fielding error that allowed Gomez to score. Benito Santiago grounded out, but that allowed Perri to score to re-tie the game at three. The Cardinals had just five hits. Santiago had two RBI despite going hitless. The Twins answered right back, putting two on the board in the top of the fifth and held on for the win. Dionis Zamora went all five innings on Sunday, surrendering eight hits, four runs (one earned), walked two, and notched four strikeouts on route to his third loss of the season. With plenty of offense and strong pitching, the Cardinals took the second game of Sunday’s doubleheader by a 6-0 score. 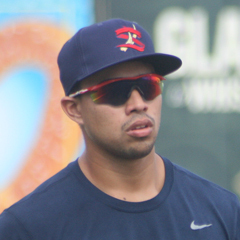 Johnson City first baseman Dariel Gomez led the way with four runs batted in. Gomez was 3-for-4 with his sixth double of the season. Left fielder Leandro Cedeno scored two runs, and right fielder Luis Flores went 2-for-3 with his fourth stolen base. Tommy Parsons finished what he started on Sunday. The Cardinals’ right-hander logged seven scoreless frames and fanned seven Twins batters to earn his fifth win in six decisions this season. Parsons threw 67 of his 95 pitches for strikes, allowed four hits and walked only one batter. Monday’s doubleheader: TBA at Elizabethton Twins, 5:00 PM Central time. The second game will follow. It took 11 innings, but the Cardinals ultimately enjoyed a 7-6 win over the Marlins on Sunday. Designated hitter Terry Fuller drove in two runs, and third baseman Zack Gahagan scored twice. In the bottom of the 11th inning, catcher Joe Freiday drove in shortstop Raffy Ozuna to account for the game-winning tally. Starter Francisco Justo worked four innings. Justo allowed two runs before Jose Geronimo followed with three scoreless frames. Rodard Avelino allowed three runs in the seventh inning to take a blown save, and Alex Gallegos surrendered an unearned run in the ninth before Chris Rivera took over. Rivera, now 3-1, worked 1 2/3 scoreless innings to wrap up the win. Next game: at GCL Nationals, 9:00 AM Central time. The Dominican Summer League always takes Sundays off. On Monday morning, 9:30 AM Central time, the Cardinals Blue will play at the Yankees while the Cards Red squad remains home to face the Rangers2.